Do you need some help planning your low carb meals? 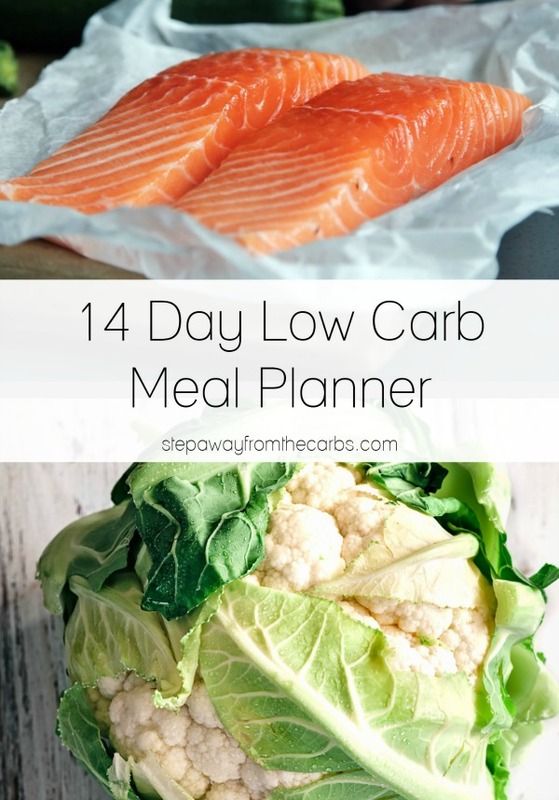 You need my super convenient 14 Day Low Carb Meal Planner!!! Low carbing isn’t always easy. You can’t just grab convenient food on the go. The success is in the planning, and I designed this meal planner to help people like you achieve their low carb goals. After all, anyone following a low carb diet needs things to be as easy as possible, right? This highly comprehensive printable 14 Day Low Carb Meal Planner offers two week’s worth of delicious low carb meal suggestions, printable shopping lists, and over 30 recipe cards. Each week is set out day-by day with carb counts for every meal and a tally for each day. The convenience of this method is that if you switch out one or more of the meals on a particular day, you can still calculate how many carbs you have eaten in total. NEW FOR 2018: All recipes now have full nutritional data provided! Yes! I want this meal planner! The shopping lists include one for each week, and are organized by category for easy shopping – plus there is a “pantry items” list for non-perishables which covers both weeks. Here’s the contents page to give you an idea! As an added bonus, I recognize that for most people three meals a day simply isn’t enough. So to keep you on track, the meal planner also includes heaps of easy low carb snack suggestions, including 7 snack recipe cards. Watch the video! Planning and organizing is the key! Although there are exceptions, in my experience the majority of low carbers are the only ones in the house following this diet, so most of the recipes are single portions servings. However, every recipe in the planner can be easily increased AND I have included some larger yield recipes for the weekend days for the whole family to enjoy.